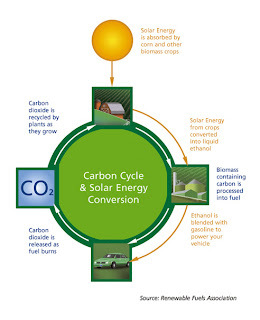 FACT: Ethanol is a renewable fuel produced from plants, unlike petroleum-based fossil fuels that have a limited supply and are the major contributor of carbon dioxide emissions, a greenhouse gas. Big Oil Uses "Ethanol Excuse"
Does it take more energy ...? Who Should Set the Price of Corn? Renewable Energy Gets a Degree!